This page provides a brief overview regarding the Republican River basin in Colorado, quick facts of water use within the basin, a brief description of water resource agencies and programs, and contact information. More contact information regarding the Republican River in Colorado can be found here and links below. Click here for a map of all the compacts in Colorado. The use of water, both surface and ground, is also subject to the Republican River Compact, an interstate agreement between the States of Colorado, Nebraska, and Kansas. The Colorado Division of Water Resources (DWR), also known as the Office of the State Engineer, administers water rights, issues water well permits, represents Colorado in interstate water compact proceedings, monitors streamflow and water use, approves construction and repair of dams and performs dam safety inspections, issues licenses for well drillers and assures the safe and proper construction of water wells, and maintains numerous databases of Colorado water information. 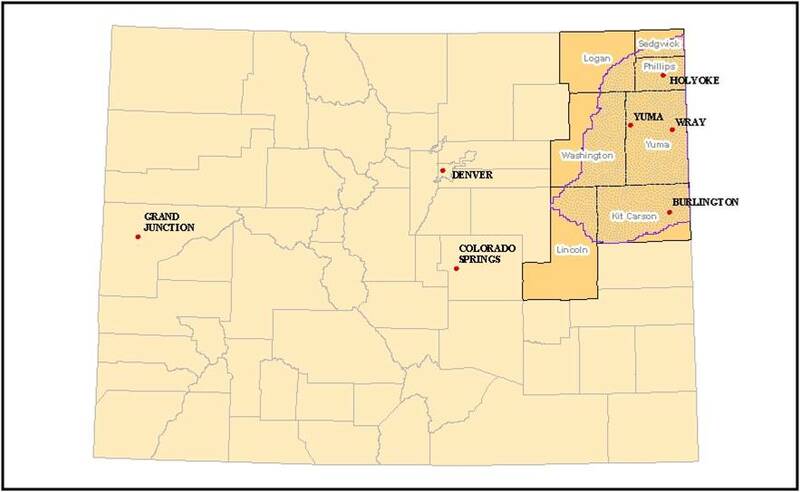 The District also owns and operates the Colorado Compliance Pipeline, which delivers augmentation water to downstream states. Much of the Republican River Basin lies within the Northern High Plains Designated Basin. Click here for more information about the several Ground Water Management Districts within the basin.